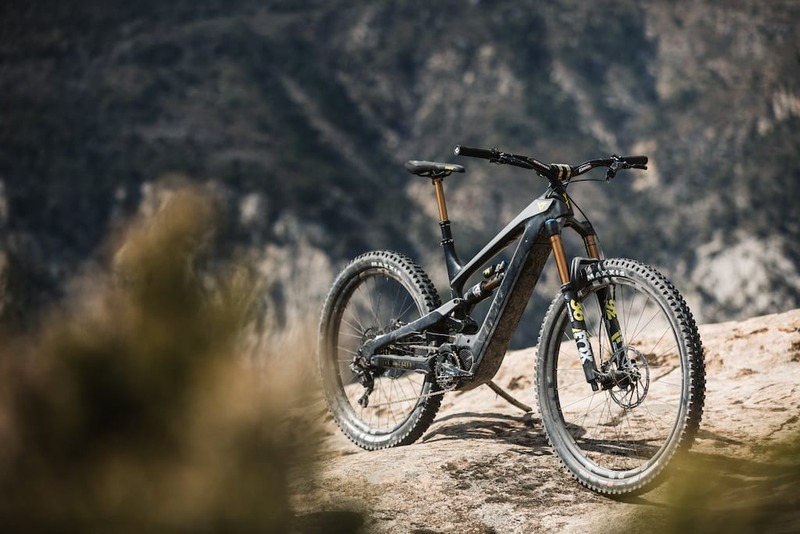 Not really a surprise, given than Shimano already makes an urban e-bike pedal-assist system, but it’s interesting that Shimano is coming in, guns blazing with an XT-level electric motor system. The launch is this weekend at the Lake Garda Festival in Italy and we’ll bring you some impressions from our correspondent there when there’s time to fully digest it. For now, though, we have some pretend computer pictures and a press release – with promises of more later. Drive side with optional ring guard. 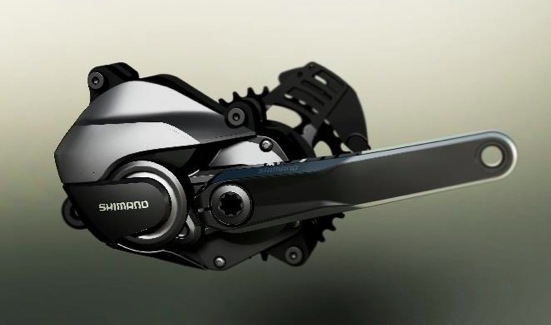 So, is this an inevitable step for Shimano (and for mountain biking)? Or is it the beginning of the end? Get those comments fired up while reading the highlights of the press information below. And, wait a second, although that’s just a computer mock-up, is that a thick-thin, narrow/wide chainring? It definitely looks like one. Something you want to tell us, Shimano? It’s a motor. From Shimano! 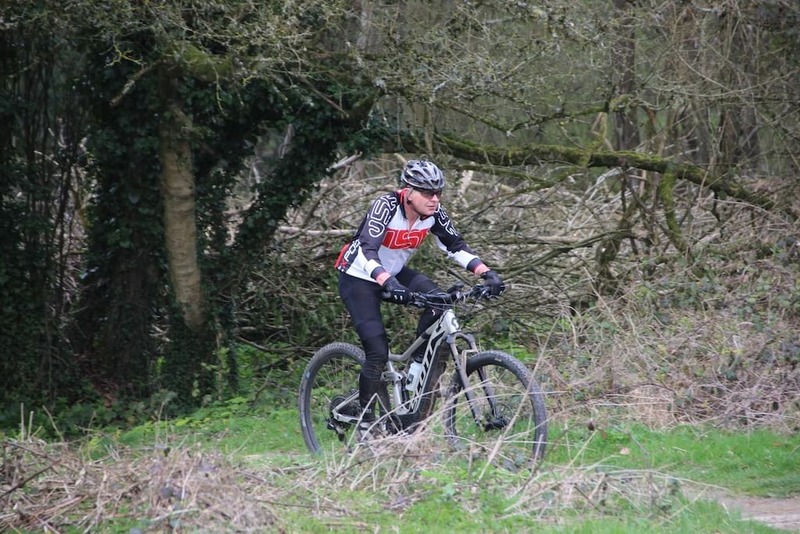 “Shimano first launched its urban and leisure-orientated e-bike components (E6000) in 2013. Now, with the knowledge and experience that comes from many years of developing high-end MTB components, Shimano unites its technological expertise with the release of its E8000 components, dedicated towards the rigors and demands of e-mountain biking but designed so that riders can experience the true sensation of the mountain bike. “The SHIMANO STEPS E8000 series E-MTB components features a powerful drive unit (DU- E8000). 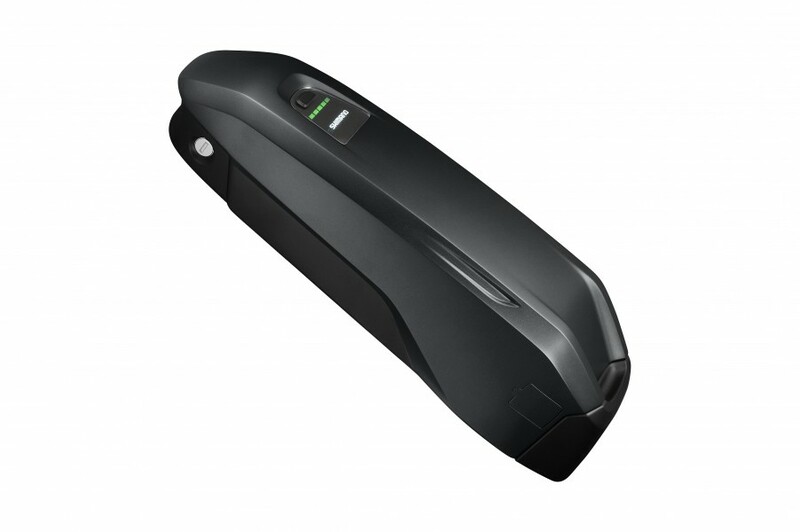 Power for the motor is provided through a large capacity 500Wh battery (BT-E8010), complete with battery mount (BM-E8010). That’s a big chainring. The Bosch systems run a granny ring-sized single ring. A bigger driving ring implies a bit more torque and slower revs from the motor. There’ll be hollow or cheaper solid cranks available. 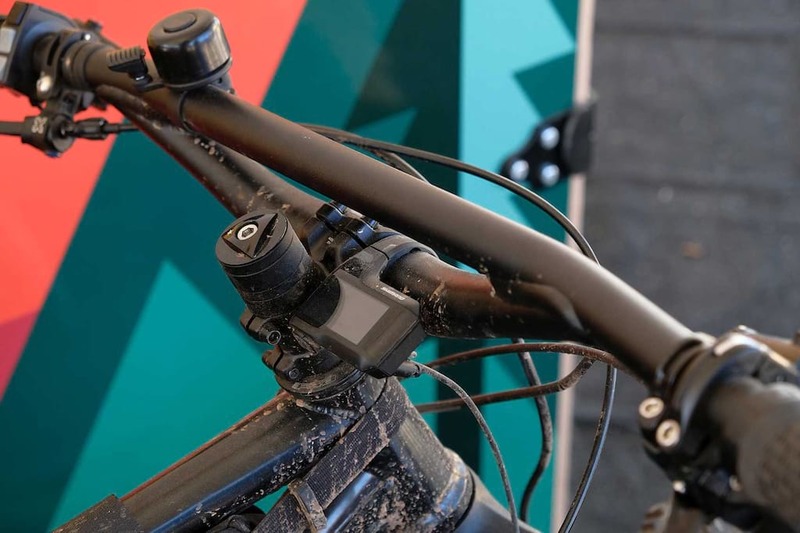 “The new SHIMANO STEPS MTB system can communicate via Bluetooth with the E-TUBE software platform allowing you to change settings and customize your set-up via computers, tablets or smartphones. Standard looking battery won’t look out of place. Or win any design awards either. 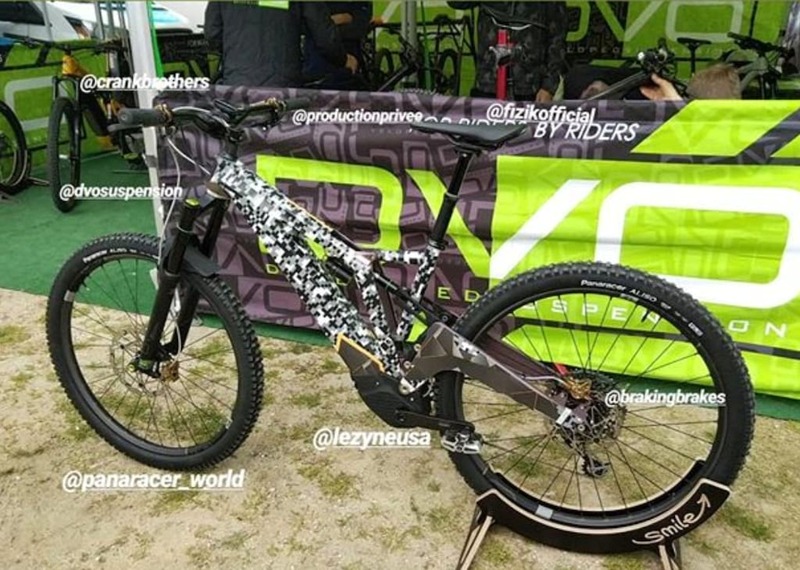 “The compact drive unit accommodates frames with shorter chain stays to give E8000-equipped bikes typical mountain bike handling and maneuverability. 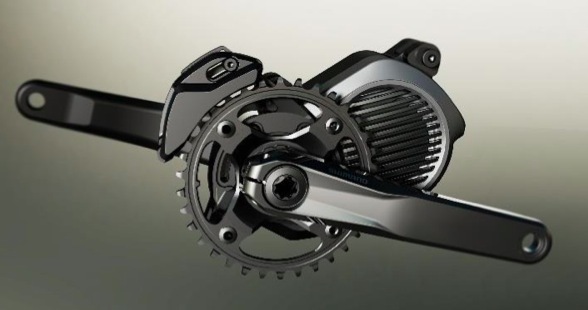 It also provides a Q-factor (ie the distance between the outer edges of the crankset) in line with DEORE XT cranks, helping to retain a natural feeling. Power for the motor is delivered by a slim but durable, low profile and waterproof battery on the downtube delivering over 500Wh. A secure mount keeps the battery firmly in place even over rough terrain, yet removing the battery for charging is simple with a sideways release mechanism. ￼￼Connected to the motor is either the hollow crankarm (FC-E8050) or the solid crankarm (FC-E8000), both of which are available with 34T or 38T chain rings (SM-CRE80-B/CRE80) for 10 or 11-speed cassettes. 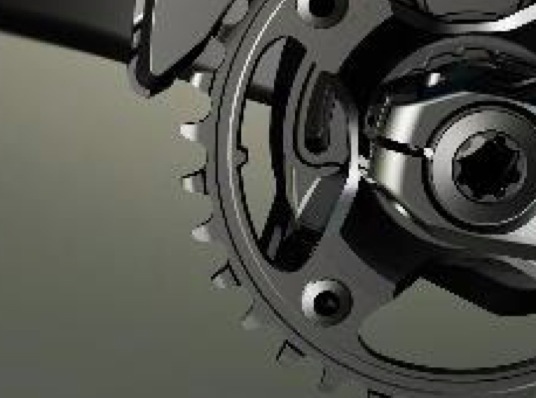 Chainrings feature Shimano’s Dynamic Chain Engagement technology and, together with an optional chain retention device (SM-CDE80), ensures chains remain on drivetrains. 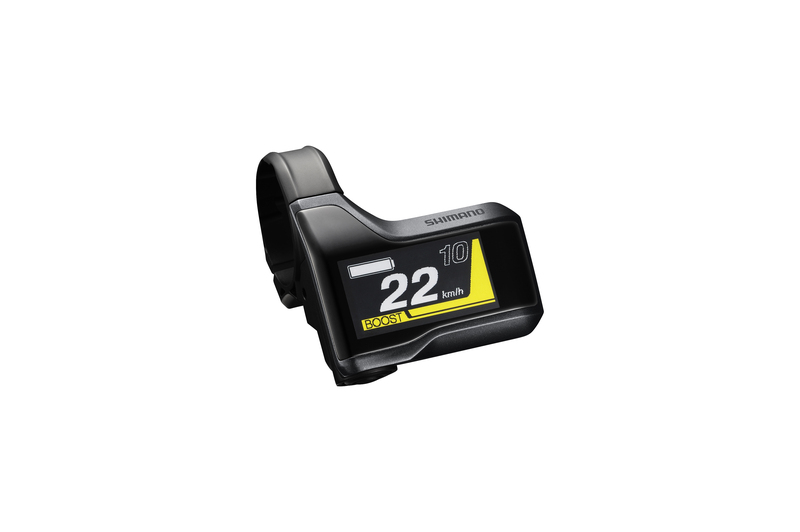 The system is controlled by the compact SHIMANO STEPS MTB colour LCD computer (SC-E8000) to offer riders their gear number, power assist mode and battery range information. ￼￼The power assist modes are controlled by a dedicated MTB handlebar switch (SW-E8000-L), allowing the rider to change between Eco, Trail and High Power modes, plus the Power Walk mode. SHIMANO STEPS MTB components will be available from October 2016. As we said earlier, we’ll let you know what the real thing looks like shortly.